Planning a trip to Greece 2019 – New guide with the best 5 trips. How to plan the best Greece vacation and all you need to know. Find the best tour agent and the most popular vacation travel packages. Planning a trip to Greece 2019? Well, you’ve not made a wrong choice as Greece is growing to be one of the top spots for holidays, honeymoons and you name it. The best part is, there’s no worse or unsuitable time to visit the beautiful country of Greece as every time is considered the right and perfect time. Here, there are at least 300 days of sunshine, making you enjoy going out and exploring than staying in and feeling blue. Greece has a wide variety of beautiful landscapes and mountains. As well as islands and seas with clear beaches and crystal clear waters. There are a lot of bespoken places in Greece, especially for you to have a wonderful and memorable experience. Over the past decade, Greece Tourism has experienced steady growth. And the World Travel & Tourism Council called it “Phenomenal.” it is approximated that over 27 million tourists visited Greece in the year 2017, compared to 4.1 million in 1991. If you’re considering spending some of your time in Greece and you’re planning a trip; There are considerable and fun activities you need to engage in while in Greece. Customize your itinerary; Don’t hesitate to call your Personal travel advisor. Travel Packages you should consider for your vacations. 1) Athens City Break and explore the biggest island in Greece – Crete. This package comes with a 7-day vacation. Which takes you all the way from the beauty of the famous Greece capital Athens to the Cretan capital of Heraklion. There are a number of places to tour in Athens such as the Plaka neighbourhood, the Parthenon and the new Acropolis museum. 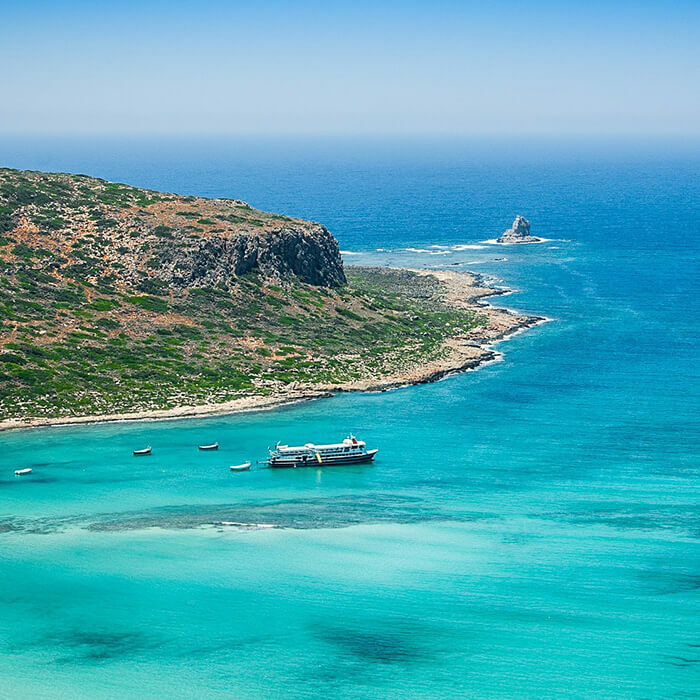 Then You also get to explore the wonderful and largest island of Greece, Crete, and it’s capital Heraklion which the home of the famous Mediterranean seafood and the popular traditional Greek dishes. Athens is a beautiful landmark city of Greece and has gained popularity over the rest of the World. Thought to be named after the Greek goddess of Wisdom, Athena, it holds a lot of history and culture from past millenniums. Get to the heart of the ancient world and walk among the wise paths where western civilization started. On this tour, you’ll get to pass from the constitution and the house of parliaments to where the first Olympics held in the year 1896 in the Panathenaic stadium. You also get to visit the temple of Zeus, the magnificent temple of Poseidon at Cape Sounion, the iconic temples of Acropolis and of course, the very famous Parthenon. The birthplace of King Minos and also the mythical creature Minotauros. Heraklion – Crete’s sprightly and modern capital. A guided walking tour from its captivating Venetian port to the walled old and ancient city. You’ll dine at the famous traditional taverns, trying fresh fish and the very popular and healthy Cretan extra virgin olive oil. The Palace of Knossos – renowned as Europe’s oldest city. One visit to the outstandingly well-restored Palace of Knossos; The most important of the Minoan Palaces and once the thriving heart of a sophisticated culture to rival Ancient Egypt culture. Hiking adventure at Imbros Gorge – Frangokastello. In southern Crete, you will explore one amazing long canyon (Imbros Gorge), 11 kilometres distance. Frangokastello is very famous for the Venetian castle located to one of the most beautiful beaches from entire Crete. Explore one of the most beautiful city in Europe – Chania. Called as the spiritual city of this island. Was built on the site of the ancient town of Cydonia, on the eastern part of Chania bay. Was conquered by Venetians in 1250 after the Byzantines and the Arabs. You will enjoy the unique architectural style and the Venetian buildings. On the borders of Ovraika, you will see the Folklore Museum and the amazing church (Agios Fragkiskos) from the 14th century. Don’t forget to visit the old town and one of the most spectacular ports from the whole of Greece. We have crafted a singular menu of multi-generational attractiveness, guaranteed to delight families and small groups too; whereas shaping happy reminiscences to share for many years. 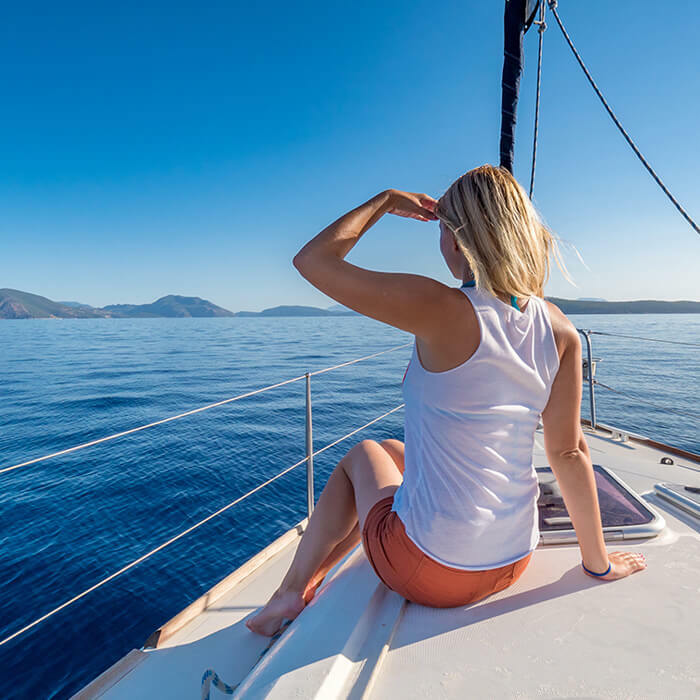 Unique and amazing adventures at sea; and active Eco-adventures square measure some of the persistent escapades you may expertise on this unforgettable trip. 2) Hiking adventure and relax time at Aegean Islands – Tinos and Andros. The Greek islands are known for being quite sunny and breathtaking too. With beautiful sand and coupled with the clear blue waters; Therefore everyone would love coming here for a breath of fresh air. The water could be so clear, consequently, you could drink it. In the same vein, it permits lots of activities such as scuba diving, snorkelling and sunbathing. Similarly, even just a walk in the sunshine. Hiking is something that too has come around to stay in the past few years. Due to the morphological advancement of the mountains as well as stunning vistas which go on and On; This form of tourism has gained grounds in the Greek islands, as a result. Further, you also get to stop at archaeological sites; Know about history as well as culture and the wineries. Architectural places of interest and moreover, the art galleries. Tinos island: Located on the northern side of the Cyclades archipelago. With a population of 8,636 inhabitants. Is the closest island from the world famous island Mykonos. Also, called Hydroessa and above all, renowned for the biggest pilgrimage centre in Greece. 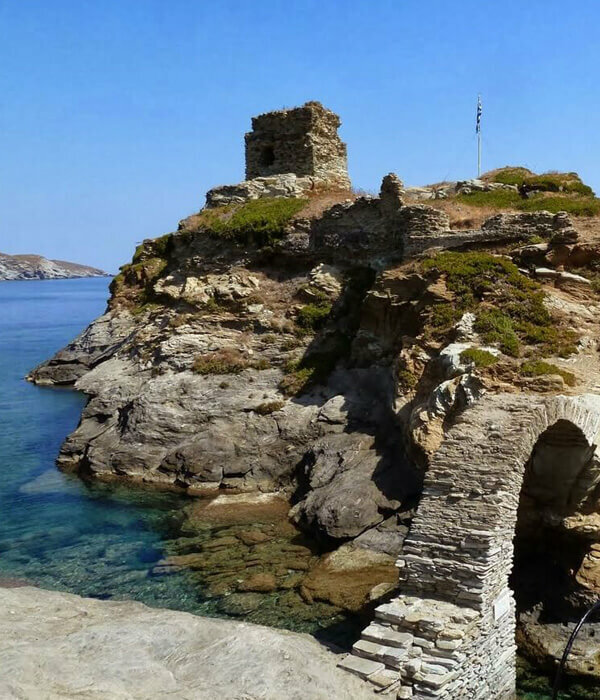 Andros Island – over 25 hiking trails: The ideal island for hiking about 3 kilometres north of Tinos. Is very popular to visitors who love this form of eco-tourism activities, especially from Europe and the United States of America. Hikers in Andros can enjoy almost everything: Watermills, valleys, small waterfalls and old bridges! These hiking trails have accumulated over the years from a long history of biodiversity and culture. It is said they were formed by pedestrians as well as animals such as horses and donkeys; Which carried supplies from one place to another. 3) Multi-active vacations and fun activities in Pelloponese. 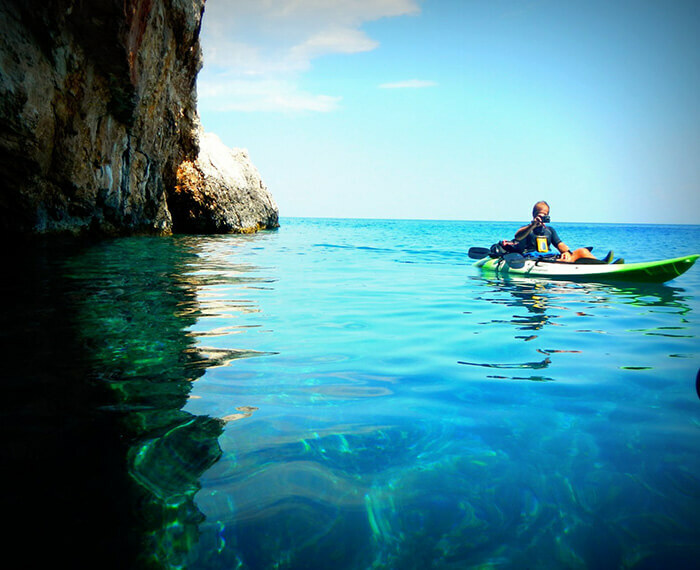 Having a multi-active trip in Greece, helps you awaken your senses while giving you that extra push of adrenaline. When you visit the natural diversity of Greece such as the archaeological and architectural attractions. At the same time, you would get to explore the traditional lifestyle of the Greek people in the alpine and coastal area of Greece. Let’s not forget other sporting activities such as Hiking, kayaking and climbing ancient rafting; Which always keeps you on an adventure and giving you that multi-active thrill you need. To enjoy these activities, you don’t need to be an expert in all of these areas; Such as hiking and cycling as all you need is a desire and motivation to go about with it. So, we very much encourage you to make that trip to Greece. Further, Peloponnese holidays. Wine tasting tours, combined with cycling. Wine tasting tours in Greece can be coupled with other fun activities in addition if you would prefer. Over the years, these tours have been made known all over the world by the Greeks; As Greece is coined the wine country of the world due to the amazing wine being served in the past. Even more so, the Greeks have their very own wine god called Dionysus. Greece is home to the oldest wine in the world, and the use of instruments that have been used in history; To making wine is still being used in this present day. They also persevere the flavour of their wine by storing them in wooden drums. Over the years, Greece has produced a lot of award-winning wineries. You can get the best and most succulent wine from Moschofilero and Agiogitiko. So, you can explore the exotic wine tasting culture with the Greeks, attend the private wine tasting. Visit wine bars, go on full day tours and visit popular wine regions. All the cycling routes are designed by expert cyclists. You will be able to choose the level of difficulty that is best for you. 4) A spiritual wellness journey from Athens to 46 alpine villages in Epirus. Why not spend some time in the beautiful city of Athens. Athens is the capital of Greece and a landmark known everywhere in the world. It has interesting places of interest such as the Acropolis to the beautiful coastline of the Athenian Riviera. 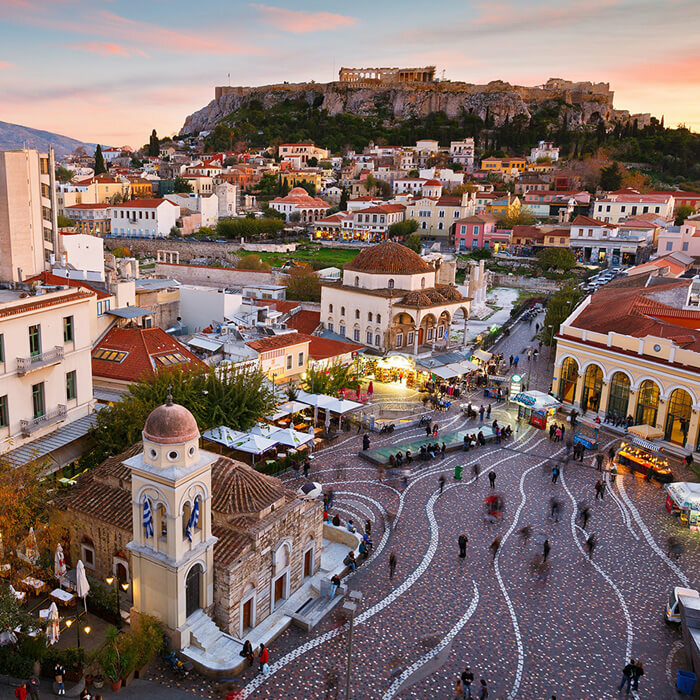 Believed to be named after the goddess of Wisdom, Athena, this city lives boldly up to its name. Athens offers you a thrilling life in the city where you can take long and meaningful strolls under the beautiful and clear lights of Attica. That makes you follow in the footsteps of Aristotle and Socrates. You can also discover the Mediterranean gastronomy and patronize unique shops. Immerse yourself in the amazing sunsets coming from the Temple of Poseidon; As you glance through and take in the beautiful landscape. And the best part is, planning a trip to Greece all year round. Zagorochoria – UNESCO Global Geopark. The Zagori is located in Epirus, which is the northwest of Greece. Where you can experience 3-7 days of wellness experience with the help of the beautiful landscape Zagori has to offer. It has a total of 46 villages; Which are in the form of an upward triangle while being connected by a Zigzag road. 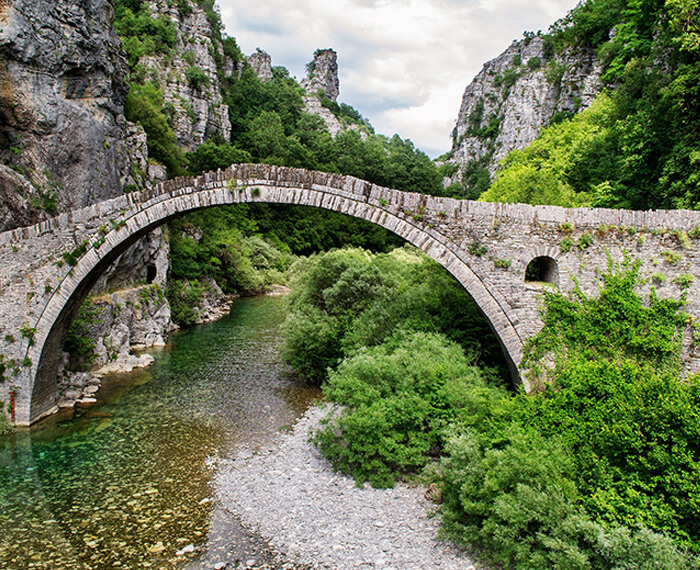 What is included for this trip in Zagori? 5 to 6 nights accommodation at 4* hotel or a premium boutique hotel. Spa treatments and 5 to 6 days yoga classes for beginners or experienced yogis. Stress management session, essential oil massage, available upon requested. One wine tasting tour and one cooking lesson for a traditional Greek recipe. All meals according to the itinerary and all transfers and guides. All the admission fees to all cultural sites and the archaeological visits. The Zagori region has a lot of activities to immerse yourself in such as; Hiking, snorkelling, rafting, rock climbing, mountain climbing, horseback riding, etc. While offering you the finest traditional cuisines. 5) Aegean islands – Greece itinerary 10 days or less. The Aegean adventure is one every visitor should try in Greece. Get on a boat and discover all the captivating and beautiful islands Greece has to offer. This bespoke Aegean cruise not only helps clear your mind. But, also educates you on the historical islands and their connection to history and Greek mythology. You can also, customize your vacations, between the captivating island of Santorini and the most popular island of Mykonos. Tinos and the world-famous Mykonos island. This trip takes you to great destinations filled with a lot of history and culture. Delos, for example, is where was believed the twin gods, Apollo and Artemis; were birthed by their mother after finding solace there from being chased by Hera. The wife of Zeus. Tinos is known for its drinkable clear and Crystalline water and Rineia, a little island with amazing beaches. Islands such as Koufonissia, Schinoussa, and Irakleia are known for their amazing and calm scenery. While Despotiko and Paros are known for their splendid traditional architecture. Planning a trip to Greece 2019 and popular Hashtags: Public transportation, flying into Athens. Travelling to Greece and the economic crisis. The boutique hotel is just wonderful, perfectly located in a wonderful place called Vitsa or Vista, for exploring the unique Zagori sites. Greece at its most amazing. Overall, loved this place. There is something extraordinary regarding this country. The history, the people and definitely the unbelievable locations. Crete was amazing with spectacular views and amazing food. We highly recommend the team from Greecefully. We are already planning to go back again this summer. The county was beautiful and the people were very polite. We had a wonderful time with diving lessons, as well. Thanks, George for this wonderful trip. We have only great words to say about Greece.